Camping is probably one of the most rewarding outdoor activities you can choose to spend time with your friends and family. It is both relaxing and challenging as it helps you push your limits while enjoying a well-deserved breath of fresh air. 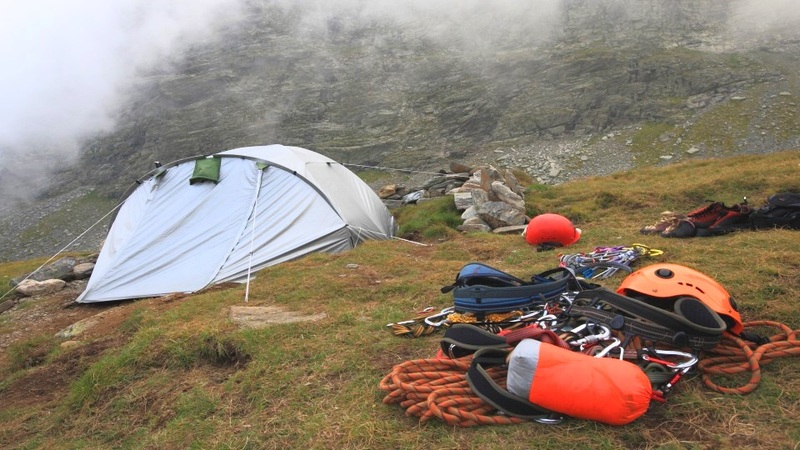 However, if you want to make sure camping remains an altogether positive experience, you will require the help of some new camping tools and accessories. Here are some of the products we recommend for a great outdoor adventure. The first thing you need to make sure when going camping is to have a reliable source of freshwater. This efficient water filter will provide up to 1000 liters or 792 gallons of safe and potable drinking water, without any bacteria or chemicals. It will help remove up to 99.99% of the dangerous bacteria, including E-coli, salmonella or vibrio cholera. This reliable item doesn’t have a shelf life meaning it can be stored indefinitely and you can benefit from its powers many years from now on. Thus, it is not only good for camping but also for emergency and survival kits or when traveling abroad. This powerful LED flashlight is available in three different colors and is made of sturdy and reliable materials to last you many years from now on. The LED emitter is literally indestructible and can be set on two different output levels, depending on the type and brightness of the light you require. The high level emits a 320 lumens light, while the low level is set at 15 lumens to last you more hours and provide an ambient lighting. The body of the item is made of Nitrolon polymer that resists scratches, impacts, abrasion, and corrosion. If you’re looking for some excellent military stuff or reliable camping tools, this sleeping bag should be amongst your first options. It is designed to offer you a good night sleep after a long day trekking or hiking. The barrel-shape design is wider at the shoulders and narrower at the legs’ end to provide maximum comfort and freedom while keeping you warm all night long. The sleeping bag is suitable for temperatures as low as 20 degrees Fahrenheit so you can rely on it during winter as well. In addition, it is lightweight and features a 100% polyester lining for extra warmth. This Swiss Army multifunctional knife is equipped with everything you need to survive in the woods. It features no less than 15 different functions. Among others, it is equipped with a 2.45-inch blade perfect for cutting, a corkscrew opener and a screwdriver, a pair of scissors, and a small wood saw. The product features a sturdy and reliable stainless steel construction with polished black ABS scales to ensure a good grip and add increased durability. This Victorinox item represents the perfect tool for camping, fishing or hunting but it can also prove useful for daily activities. If you want to keep the environment as clean as possible, you’ll definitely require a trash can whenever you go camping or having barbeques in the woods. This pop-up trash can is made of heavy-duty polyethylene and is tear resistant. The zippered lid will help you keep contents safe without the risk of spilling. The product’s approximate volume is 111 liters, so it is perfect for weekend getaways or a mini camping vacation. In addition, it can expand in order to gather more trash when needed. The trash can is available in three different options, including the mini version perfect for backyards or weekend trips, as well as the recycle option for the more conscious campers. This is one of the most useful accessories you’ll want when traveling or riding your bike. The product is versatile and rotates at 360 degrees. You can easily attach it to your backpack or motorbike for extra storage space or you can use it as a hook to hang your purse or bags. Thanks to the folding cook, the item is easy to carry and store anywhere. This multifunctional tool is the perfect gift for travelers and adventurers as it will get you out of trouble. It can hold up to 50 pounds and is extremely lightweight and reliable at the same time. This 14-in-1 hammer tool will come in handy whenever you need to do some light work around the house or want to stay safe when traveling. It weighs around 11 ounces so it is lightweight enough to carry it with you in your luggage or backpack. The product is made of heavy-duty stainless steel and it is designed to last. The handle is made of quality wood to ensure a safe and reliable grip. It features a hammer, a nail claw, and pliers. In addition, it comes with a nylon belt pouch so you can easily carry the item with you and store it. The alcohol burner is a lightweight and reliable alternative to canister stoves and represents the perfect camping tool for light cooking. It can easily fit in your backpack or luggage and can boil two cups of water in under 10 minutes. Most of the customers who purchased this camping stove described it as lightweight, small, reliable, and extremely useful. It can be used alone or in connection with other equipment. The stove is made of brass and comes with a screw top that is leak-proof. In addition, the product features a rubber seal and a flame regulator with a convenient fold-away handle for easy storage. This military heavy-duty bottle will keep your favorite drinks cold or warm, depending on your preferences. It is a reliable and useful piece of equipment whenever camping, hiking or hunting and, thanks to its small dimensions, will easily fit in your backpack or bag. The product displays a durable polyethylene construction and comes with an attached cap to allow easy opening. It snaps into an insulated cotton cover that will preserve your beverage at the perfect temperature. Moreover, the bottle can be easily attached to an included adjustable belt so you can carry it with you anywhere you go while still keeping your hands free. This compact pot or mug can boil 0.6 liters of water in a matter of minutes so you can enjoy your favorite hot beverage wherever you are. It is made of high-grade Glacier stainless steel of superior quality and is perfect for making your favorite cup of coffee and keeping it warm the entire day. The product also features a silicone pot gripper that attaches magnetically to the cup to ensure maximum comfort when holding the mug or cooking in it. The attached telescopic foon is the perfect balance between a fork and a spoon and it collapses for convenient storage. If you’re a camping enthusiast and love spending your weekend hiking and enjoying the nature, you’re probably familiar with the difficulties of this kind of sport. Not only can isolation become dangerous but also being far from the resources that help us maintain our life standard, like electricity, air conditioning, can become unbearable and transform an enjoyable weekend away with your friends into a complete nightmare. Also, if you’re a bit of a geek, you may find it hard to distance yourself from all the gadgets and appliances your city self is used to. The most convenient option you have in either situation is to find useful gadgets to bring with you on your trip. There’s no doubt you’ll need help managing while living outdoors, and what better companion to bring along than a high-tech gadget designed to help you survive in the wild. However, if you’re not in the mood the browse through the best camping gadgets reviews and pick out the ones that are useful for your potential trip, no need to worry! We have that covered for you. All you need to do is follow the rules in our guide and enjoy yourself on a relaxing weekend spent outdoors. Life in the middle of nature is substantially different from the crowded life of a city. When shopping for camping gadgets, it is essential to understand the requirements of such an experience and to make a choice according to the various factors that will be influencing the success or failure of your trip. Safety should be a priority, but you shouldn’t forget about comfort and fun. 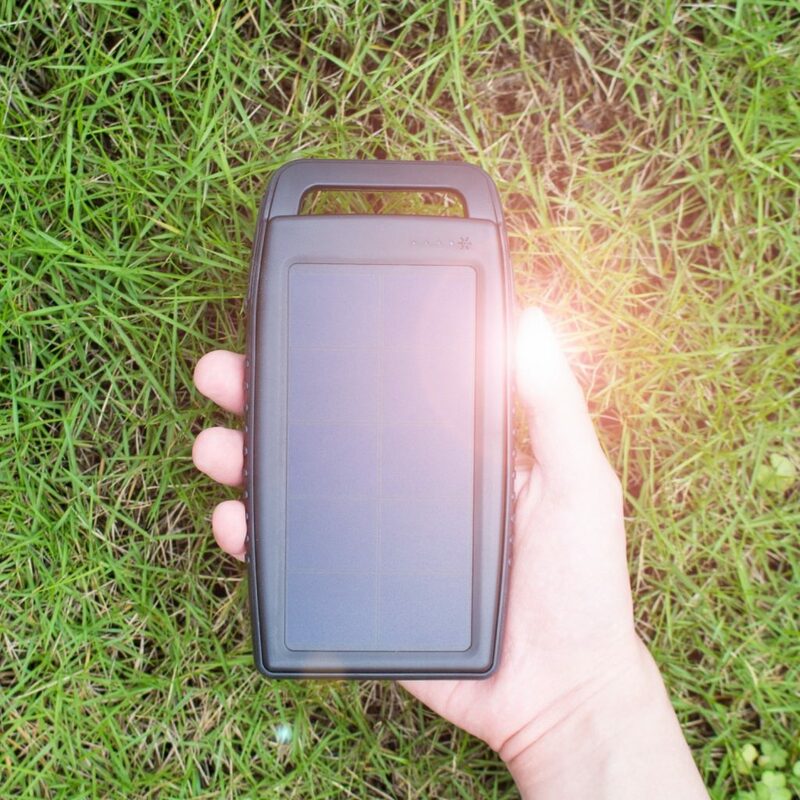 Luckily for you, there are a lot of gadget manufacturers that go out of their way to bring products to the markets which cater to all the needs of your inner Bear Grylls. All you need to do is follow some simple rules to make the right choice of items. When searching for cool camping gadgets it’s important to look for the smallest item of each category, as there is a high chance you will be carrying everything you need yourself. A heavy backpack makes a trail route slow and unenjoyable, so keep an eye out for tiny gadgets. Also, look for an item that you won’t need to carry in your hand, as carrying something heavy can become rather uncomfortable after some time. For example, hiking gadgets like head lanterns are often more comfortable than their bigger, more powerful counterparts, which are often handheld. You’ll only be needing a more powerful light source if you don’t plan on moving your camp around. You may prefer using led flashlights instead of incandescent or halogen ones, as they are more powerful, last longer, and are available in smaller sizes. As a general rule, try to find the little gadgets that use the most powerful batteries, so they don;t shut down when you need them the most. When planning a trip outdoors, always check the weather before choosing the date. However, even if you do so, unexpected events may occur, so it’s better to have as many waterproof items with you as possible, to make sure a little rain doesn’t completely ruin your plans. There are a lot of cool gadgets for camping that are also waterproof, from the ones that you’ll be using at home as well, such as phones, tablets, headphones and other gadgets for iPhone, to the ones that are designed to serve such purposes, like weather radios, walkie talkies, flashlights, digital binoculars, and so on. Whenever you plan on going on a trip, preparations regarding food must be the most complicated. If you want to go away for more than just a weekend, you can’t take that much semi-prepared food with you, so you might have to face the possibility of being forced to cook somewhere else than in the comfort of your own kitchen. If this is the case, consider buying some items that will help you improvise a mobile kitchen. It is particularly useful if you choose to drive to your desired camping spot so that you can use electricity from your car’s engine. If you don’t have this option, try to buy items that are battery-powered, and as many spare batteries as you can carry. There are a lot of smart cooking devices that can be charged via Bluetooth. The coolest gadgets, however, can recharge using the heat that results in the cooking process, so you should keep an eye out for those as well. If so far we have talked about safety, usability, and have had a rational approach to preparing for a trip, it’s time to speak of the fun side. The most important thing when going on a trip is to relax and try to enjoy yourself as much as possible because in just a couple of days you’re going to have to go back to your boring city life. In order to help you better capture the moments of your adventure, always remember to bring your camera along. If you want to be extra-cautious, you can choose to buy a camera specially designed for an expedition. It will be waterproof, shockproof, freezeproof, and the chances for it to break down just when you’re trying to immortalize a beautiful sunset will be reduced to a minimum. Almost every big brand of electronic appliances commercializes such items, so all you need to do to choose the one that suits you best is to read the specifications and the user’s manual carefully. Now that you have saved a lot of time by avoiding to browse through all those camping gadget reviews by reading our guide, all you need to do is pick out the items you need according to our rules and go off and enjoy your weekend! Don’t forget to stay safe, check the weather, and most importantly, have fun and forget about the burdens of your city life.